The next OkoumeFest Challenge is Tuesday, May 12, 2015. There is a mandatory equipment inspection and captains meeting the day before on Monday, May 11, 2015. Refer to the schedule for time/date specifics. OFC cost is $395.00 for the captain and $395.00 for a crew member if any. Registration ends April 5 at noon. Payment deadline is April 5 at noon. Due to the exteme commitment for this challenge late registration and/or late payments will not be allowed. We recommend that you commit to this race early so you have plenty of time for planning, training, and preparation. Pay early in the payment cycle. You can get a full refund up until April 5 at noon. No refunds after that date and time. All WaterTribe events are dangerous events as defined by law and common sense. You are responsible for your own safety. You must read and understand the WaterTribe Rules and Warnings before you register for this event. Although the warnings read specific to Florida, they all apply to the Chesapeake Bay environment and must be read and understood for this event. The OkoumeFest meetup with Chesapeake Light Craft will be happening about when you finish this event. Be sure to wave as you are coming into the finish. The OFC distance is roughly 210 nautical miles depending on your course selection. This challenge is a circular race in a clockwise direction with start and finish at the same location at Matapeake State Park. 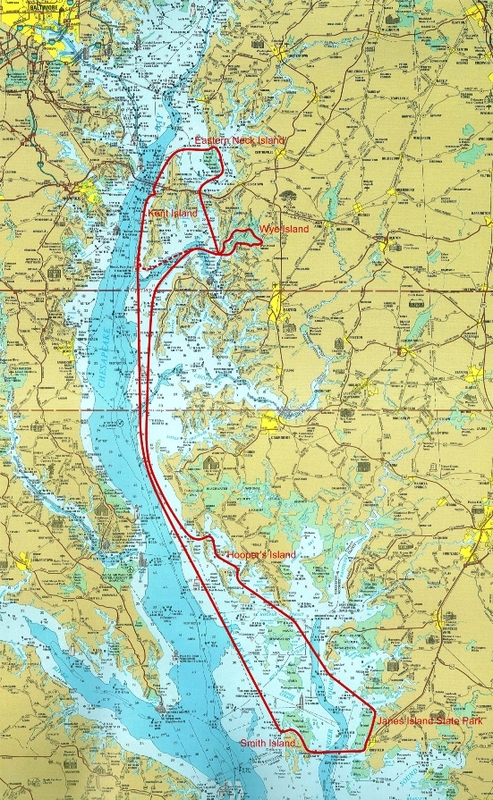 Wye Island must be circumnavitated and there will be SPOT checkpoints to insure that path. There is an overall maximum time limit of approximately 5 days. Here is a nice chart to show the overall course. This chart is not intended for navigation purposes. You'll want NOAA charts 12272 and 12270 or their equivalent for full detail. Gear Inspection - Monday, May 11, 2015 Is Mandatory. Race - Tuesday, May 12, 2015 to Sunday, May 17, 2015. Transport from Camp Wright and setup on the Matapeake beach beginning at sunrise. Details covered at captains meeting. Award ceremony starts at 10:00 AM with lunch at noon. 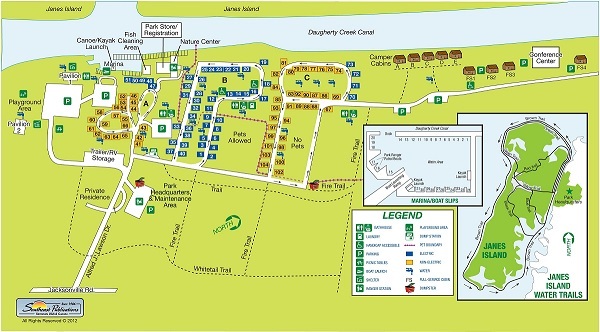 The meetup location for the equipment inspection, start and finish of the OkoumeFest Challenge is Camp Wright in Stevensville, Maryland. This is a great location with camping sites, cabins, and other amenities. You can make reservations by calling their Rental Coordinator at (410) 643-4171. The race will start in Matapeake State Park. 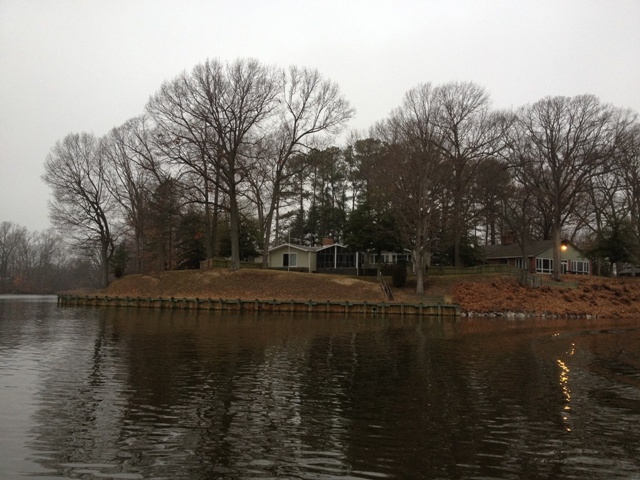 The Matapeake launch beach is just south of Camp Wright. 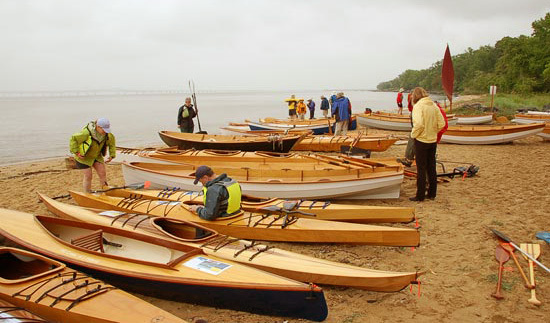 On the morning of the start you will transport your boat to the Matapeake Beach at sunrise. Then take your car back to Camp Wright for the duration of the event. About 60 minutes after sunrise there will be a roll call and you will be given the launch command if conditions meet the launch criteria. You can depart anytime after the launch command is given. If you are not present at roll call, you must check with the Race Manager before launching. Note: No boats will be left on the beach overnight. Class 4 and class 5 boats have the option to launch from the boat ramp just south of the Matapeake Beach. They depart Camp Wright and head for the ramp at sunrise just like everyone else. Any boat may finish at the boat ramp or Matapeake Beach or the Camp Wright kayak landing. Details will be given at the captains meeting. Tuesday afternoon there will be a captain and crew meeting which is mandatory. Your boat may be inspected for final class determination. If you can't make it to the normal equipment inspection on Tuesday, you should arrange another time. mailto:Chief@WaterTribe.com to make special arrangements well in advance. Try to get setup as early as possible. The checkpoint is on the south side of Wye Island, but you must go around the island on the north side before stopping at the checkpoint. Be sure to send a SPOT OK or CUSTOM message on the north side of Wye Island. As you approach the checkpoint, you will see this view on your right. Did "Virtual" in the title catch your attention? 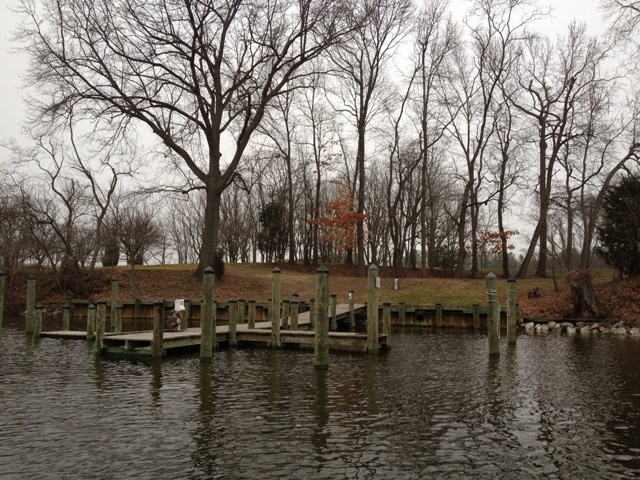 Due to the nature of some parks in the Chesapeake area, access to this checkpoint can be difficult. Therefore, this is a virtual checkpoint meaning that all you have to do is get within 0.1 nautical miles according to your GPS and hit your SPOT OK Button. Sit in your boat until your SPOT indicates that it has sent out the OK message and then proceed. If you need help, you can come ashore and hit your SPOT Help Button. We will call your shore contact to arrange pickup. If we have to pick you up, there could be a long wait and the pickup may not include your boat. If you need emergency help, use your PLB and/or call 911. Since no camping is allowed at this location, you need to camp before or after you arrive at the Virtual CP. But remember, this is an Ultra Marathon. The schedule allows for catching some sleep, but not a whole lot. You should be able to get by with a 2-4 hour nap which will give you one or two REM cycles. As you approach the checkpoint docks you will see this. There is a marina, store and campground at this checkpoint. For 2015 campsite 48 and 49 have been reserved. My travelling palace will be in one and you can use the other. This reservations will change from year to year so check carefully each time. Because this is a State Park, please respect the privacy of other campers. Be quiet when coming in to checkin and camp. Also, it is OK to camp at another location outside the park before you checkin or after you checkin. The orange box with the signin sheets will be at site 48. Here is an image showing the park layout. It's a bit hard to see the site numbers, but 48 and 49 are in Loop A near the marina. You can click on the picture for a larger image. This is the marina location. Not the campsite location.